Each season we take three days to honor our league’s officers for all their hard work. Without them, our leagues would not be as enjoyable, or executed properly. 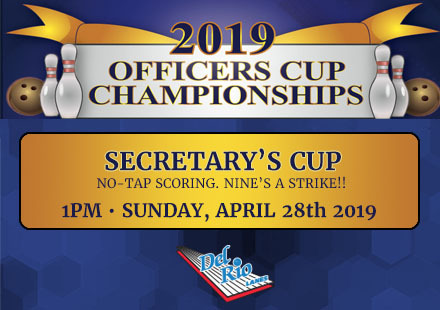 On Sunday, April 28, we will be honoring the secretaries of our leagues – putting together teams of four for no-tap fun! Often times bowlers are frustrated when they throw a ball that looks poised to hit for a strike, only to leave one pin standing – typically a 10 pin for righties, and 7 for lefties. In No Tap those problems are for somebody else! A result of nine pins or better will result in a no-tap strike. Entry to the tournament is $20/person. Let your league officer or the front desk know that you are interested in participating in the tournament. Check in is at noon. Bowling will begin at 1 p.m.